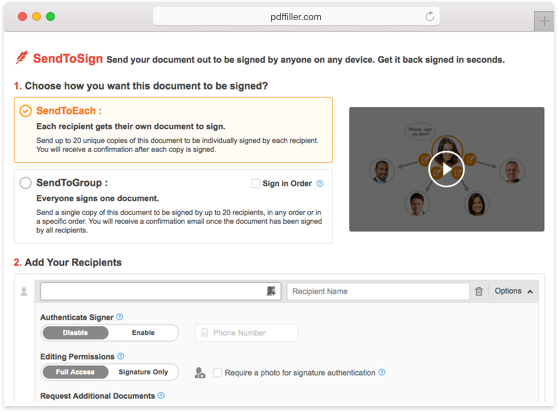 Enhance your Office 365 documents by transforming them into smart fillable PDF forms that can be shared, filled out and digitally signed. Guide recipients by adding instructional images, videos and creating popup hints. 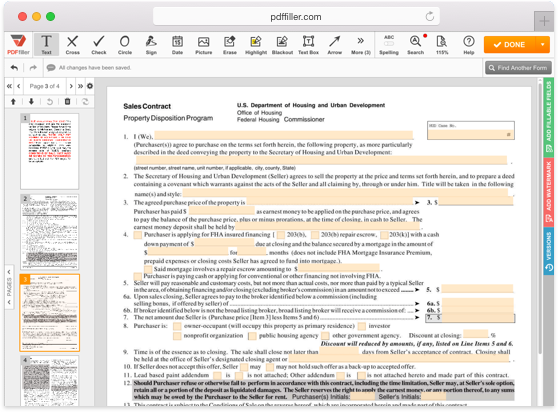 Export your DOCX documents into your PDFfiller account and turn them into dynamic fillable forms with smart fillable fields such as drop-down menus, formulas, checkboxes and images as well as date and signature fields. React to comments and track changes immediately while collaborating on documents with your partners and customers. Get fillable PDF forms completed and signed in minutes. Send your fillable documents to up to 20 recipients for review, signature or joint filing and be instantly notified upon form completion. 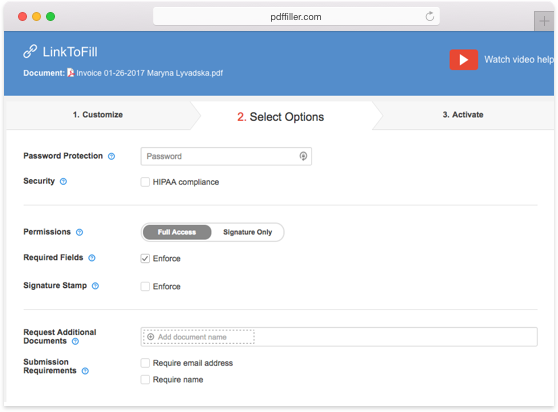 Save your fillable forms in a HIPAA compliant storage within an encrypted folder. Secure recipient’s access to important forms and documents by applying a four-digit PIN and protect them from unauthorized access with two-factor authentication. 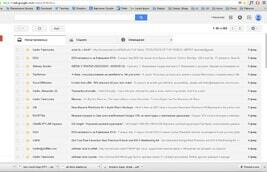 Keep track of all changes and forms completion with the help of instant notifications and version control.